The Beautiful Death Tour started off with the local five-piece, Deadships. Signed by Stay Sick records, the metalcore band from Chicago quickly amped up the already held in anticipation from the crowd with their high-energy and crowd interactions. Next, Picturesque, a rock band from Kentucky were more than happy to make t to the show after their bus had broken down and nearly left half the band behind. 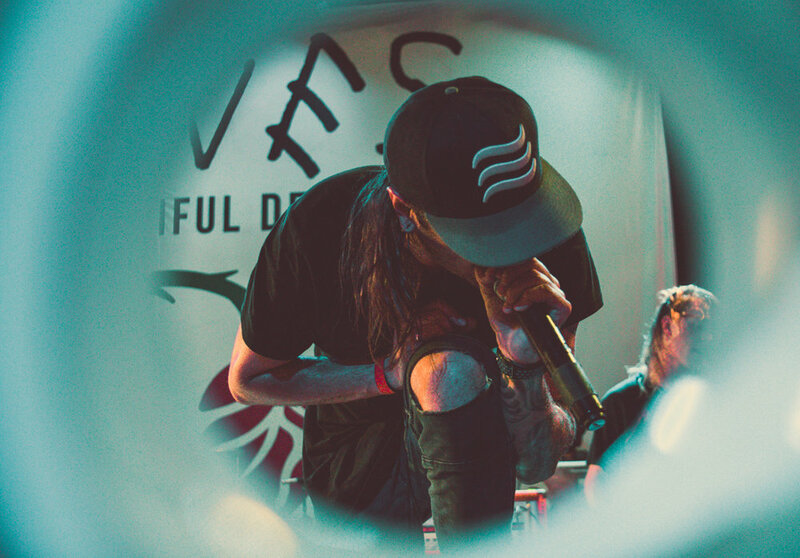 With the help of the remaining touring bands, Picturesque were able to play a phenomenal set, and really hyped the crowd for Out Came the Wolves. As always, Out Came the Wolves got a huge reaction from the crowd with their interactions with the crowd, low lit stage presence, and movement around the stage. Out Came the Wolves never disappoint. Next, the five piece from San Diego, California, Secrets, hit the stage and got an incredible energy out of the crowd. From circle pits, to constant moshing, the band maintained the crowd’s energy just in time for Slaves. The moment the crowd was waiting for finally came: Slaves hit the stage and got an immediate positive reaction from the crowd. From loud cheers, to beers spilling and being thrown around, the crowd’s energy was remarkable and you can tell the whole atmosphere had changed once they hit the stage-which was an incredible sight to see. After the show, the majority of all the bands had come out to meet their fans, which was also a great sight to see.